A swathe of lime green Allophane flows along one side of a quartz rich matrix. There is an old, handwritten label with this specimen, which states that Allophane is an amorphous hydrous aluminium silicate. 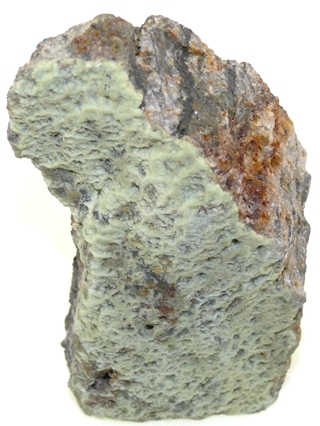 Allophane is an aluminium silicate mineral, associated with feldspar. Key Healing Properties: Balance & stability, used in treatment of the eyes and glands. 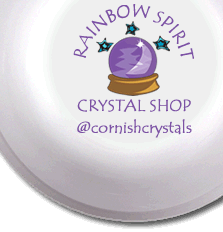 Rainbow Spirit Crystal Shop is open the shop six days a week, so are online to answer any queries you have by email, or telephone 01208 816554 for friendly advice.